Have any DIY projects on the horizon? 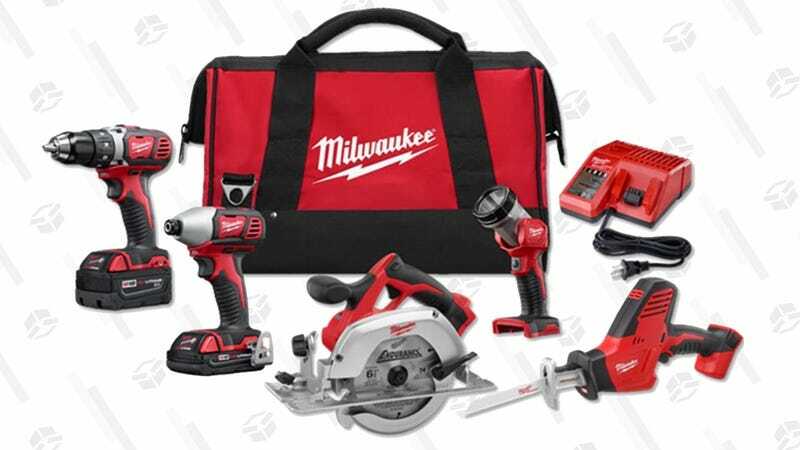 This 18V Milwaukee tool set has the power tools you need to tackle most jobs, including a drill/driver, an impact driver, a couple of saws, and a couple of swappable batteries, all for $300, or $260 less than usual. Nearly 600 Home Depot customers give it a 4.7 star rating, so you can buy with confidence. Just, please, be careful.